Passionate Leader. Advocate. Mentor. Problem-Solver. Stephen’s practice involves civil litigation matters related to insurance law, the defence of personal injury actions, and medical-legal issues. In particular, he focuses on serious injury and wrongful death claims, as well as cases at the appellate court level. 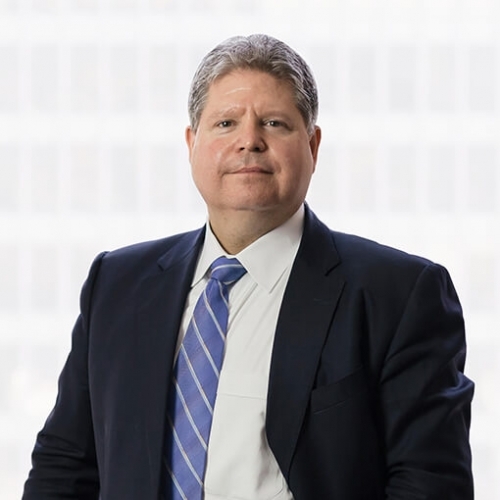 Stephen is a widely published author on a variety of legal matters, including recent commentaries on appellate advocacy, expert evidence, and on summary judgment in the post-Hryniak world. Stephen presently sits as a Board member and contributing editor of the Canadian Institute – Insurance Law & Litigation Journal. Stephen is committed to the mentoring of young lawyers, both at the firm and within the profession at large. Stephen has a passion for the law, including a belief in the profound difference a highly trained advocate can make, particularly on decision-making in the litigation process. Stephen believes that an advocate needs to be both a warrior and a trusted advisor. Stephen is a past president of the Insurance Law section of the Ontario Bar Association, and he chaired a special Joint Insurance Committee that was established to provide advice on legislative reform to the Ontario government. Stephen has been consistently recognized by his peers for inclusion in Best Lawyers in Canada, in the area of insurance law. Feel free to get in touch with Stephen at 416.594.4508 or stephen.ross@rogerspartners.com.